At Alvington House, our Reception team are ready to help you feel at ease when you visit. The team will listen to your dental concerns and book an appointment appropriate to the treatment required. Our Reception team can also give you information regarding our services and costs, please ask them for some information when you call. 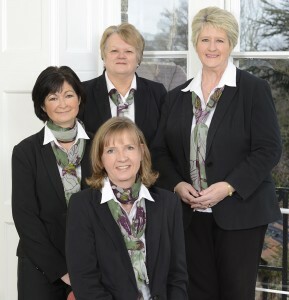 Our reception team are Janet, Claire, Janet and Sarah, who is our Reception Team Lead.